Strings Attached Orchestra | We are a community orchestra – We fill our lives with music and we share it with others! Hello and Welcome to Strings Attached! 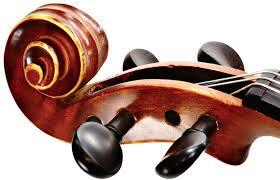 Do you play violin, viola, cello or double bass? We welcome you to come join us. Come try a rehearsal. We rehearse on Monday evenings from September through June. The Strings Attached Orchestra is a member based group of dedicated amateur string musicians located in Toronto. We rehearse weekly from September to June, and perform around the city for hospitals, community centres, retirement homes, and friends and family. Under the baton of conductor Ric Giorgi, we play repertoire from a broad range of styles and periods from the 17th century to the 21st, from popular music to jazz to the serious classics. New members are welcome to join at any time. If you play the violin, viola, cello, or bass, and are interested in joining a group, we invite you to contact us, and we look forward to hearing from you! Our season runs from September through June. Strings Attached Orchestra is a member of Orchestras Canada and CAMMAC (Canadian Amateur Musicians – Musiciens Amateurs du Canada). For more information, please contact us by email at info@stringsattachedorchestra.com or click here to contact us through our website.